Albany, NY - March 19, 2013 - Governor Andrew M. Cuomo today announced that the Department of Financial Services (DFS) has identified the ‘bottom ten’ banks with the worst statistics relating to the payout of insurance claims to Superstorm Sandy victims and has notified them to speed up the disbursement of those funds to affected homeowners. On average, the ‘bottom ten’ banks are holding back nearly half (44 percent) of the Sandy insurance claims they have received – well above the industry-wide average of 17 percent. Those ‘bottom ten’ banks are currently holding back 1,109 checks for Sandy insurance claims totaling nearly $41 million. One member of the ‘bottom ten,’ Selene Finance, is still holding back nearly three-quarters (71 percent) of the Sandy insurance funds that it has received. No bank in the bottom ten is holding back less than 38 percent of the Sandy insurance funds it has received. DFS’ review showed that three of the nation’s largest banks – CitiMortgage, JPMorgan Chase, and Bank of America – are now holding an average of only 11 percent of the insurance proceeds that they have received. In other words, those three banks have disbursed more than 89 cents of every dollar they’ve received. Six banks and servicers have now disbursed more than 90 cents of every dollar they received. In total, the banks that DFS reviewed have paid out more than $1.1 billion in Sandy insurance claims for homeowners. 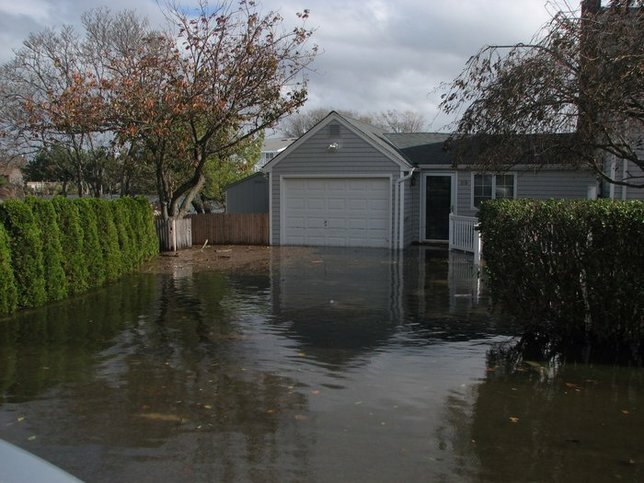 Many Superstorm Sandy victims receiving insurance claim checks are facing a hurdle that they often hadn’t anticipated: the check is issued jointly to the homeowner and that homeowner’s bank or mortgage servicer, thus requiring the bank’s endorsement of the check before the homeowner may access the funds. This dual endorsement is a standard requirement of mortgage notes and insurance contracts. In December 2012, the Department of Financial Services and major banks reached an agreement that improved the situation by speeding advance checks to homeowners. The Department also sent a letter to banks and mortgage servicers February 2012 proposing a set of best practices to help get relief to homeowners more quickly. Since the Department’s last letter to financial institutions about this issue in February, banks and servicers have said that they would immediately release an extra $112 million to storm victims, in addition to their regular disbursements. Moreover, representatives from five banks and servicers—JP Morgan Chase, Wells Fargo, CitiMortgage, Bank of America, and Ocwen—spent the first week of March at DFS Disaster Assistance Centers across the region and collectively assisted more than 600 New Yorkers with release of their insurance proceeds. Publishing clear, easily accessible information on their websites describing the procedures required to release funds, providing copies of required forms, and listing direct contact information for consumer representatives. Designating a single point of contact for homeowners. Immediately releasing all funds designated by the insurance company as “emergency” or “advance” funds. Permitting submission of required documentation via fax and email. Storm Sandy-related faxes and emails should have a separate, designated fax number and email address to expedite processing. Minimizing the amount of documentation required during each phase of repair. Holding all insurance proceeds in an interest bearing escrow account for the homeowner’s benefit. Processing all mail on the day of receipt. Upon receipt of complete documentation, releasing proceeds the day of receipt. In the event that they receive incomplete documentation, notifying the homeowner immediately with detailed instructions on additional requirements. For those with branches, accepting paperwork and endorse checks at all branch locations. Where proceeds cannot be released in person at a branch location, dispersing funds via electronic transfer or overnight delivery. Requiring inspection only if specifically required by investor guidelines. Where inspection is required, deploying inspectors within two days of becoming aware of the homeowner’s request for such inspection. Conducting all inspections at the servicer’s own expense. Upon receipt of proof that homeowner is seeking only reimbursement for money already expended on home repairs, issuing check or electronic transfer directly and exclusively to the homeowner. Maintaining sufficient staff to comply with all of the above practices. Subject: LongIsland.com - Your Name sent you Article details of "Governor Cuomo Announces DFS Investigation Identifies Banks with Worst Sandy Aid Statistics"